I haven’t yet looked to see if the mallard couple is still in Botany Pond, though when I came to work early today there were two ducklike shapes on the island that were barely visible in the dark. (They might have been cypress knees.) At any rate, they were there yesterday and had three good meals courtesy of Anna and me. James continues to be very attentive toward Honey. 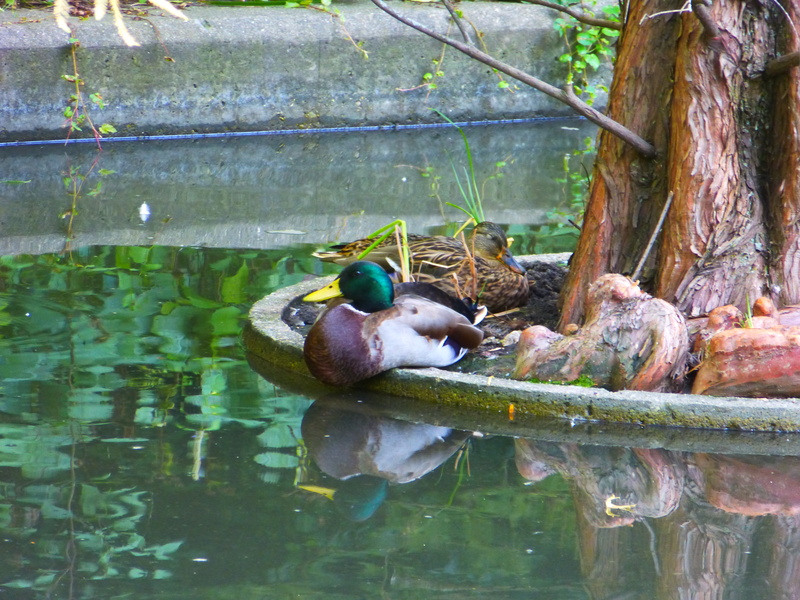 In the first photo he’s guarding her while she sleeps (one eye closed: mallards sleep with one eye open and one half of their brain awake, alternating sides). In the second photo he’s watching her as she feeds. This entry was written by whyevolutionistrue and posted on September 18, 2018 at 8:30 am and filed under ducks. Bookmark the permalink. Follow any comments here with the RSS feed for this post. Both comments and trackbacks are currently closed. Are the turtles even lagniappe anymore? Just part of the usual background. My, how orange your legs are, James! 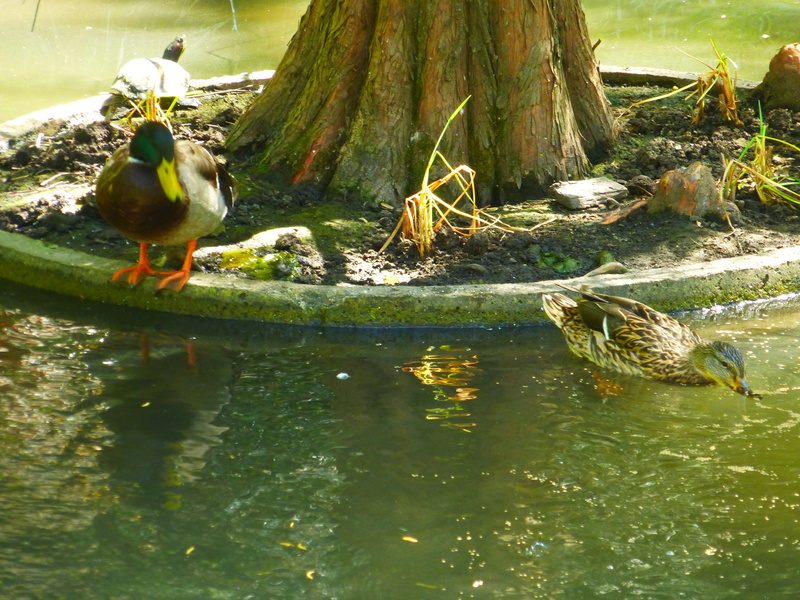 A fair number of UK mallards do not migrate over winter but stay put in various lakes, canals, ponds, rivers. Is that because winters here are generally milder so there is less pressure upon the birds to looks for sunnier climes?